I read with interest today the Government’s proposed reforms to SEN – the introduction of personal budgets for families. I think this is exactly the right direction of travel, with a very big concern that we’ll end up no further forwards, after the implementation of what looks like a series of politically charged and bureaucratically complicated changes. For a policy which emerges very strongly from the Prime Minister’s personal experience, there isn’t very much about parents. It looks to me like the bureaucrats have taken hold of this and turned it into a series of worthy but ultimately process-related changes. There are lots of requirements on local authorities to change processes, provide new protections and establish new rights. Being a parent of a child with special needs is extremely difficult. What parents need is support with developing their confidence and skills to build their independence from the system, not reinforce their dependency on the system. Our work in this area has shown that when people sit down together and have a proper conversation, with real listening, behaviour can change. The learning from our experience with implementing personal budgets in adults, and in health, and with the parents of children with SEN, is that the key to unlocking behaviour change is not the process – but the behaviour of staff. Getting parents to behave differently requires the public sector to behave differently first – and when the changes are implemented I suspect we may find it is surprisingly easy for staff to hide behind what could become just become a replacement set of forms and processes. We must not make same mistake we made before with personalisation – of industrialising a series of new processes – without tackling the basic problem, which is that public servants have let their relationships with parents break down. The idea that parents need these new rights is an admission of failure before we even start. We’ll be watching this space carefully. Jon Ainger is a Director at IMPOWER. 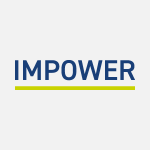 To contact him to discuss this blog please e-mail jainger@impower.co.uk or call 020 7017 8030.